Oh boy! Was I excited to get to go to Burger King and order their Veggie Burger. 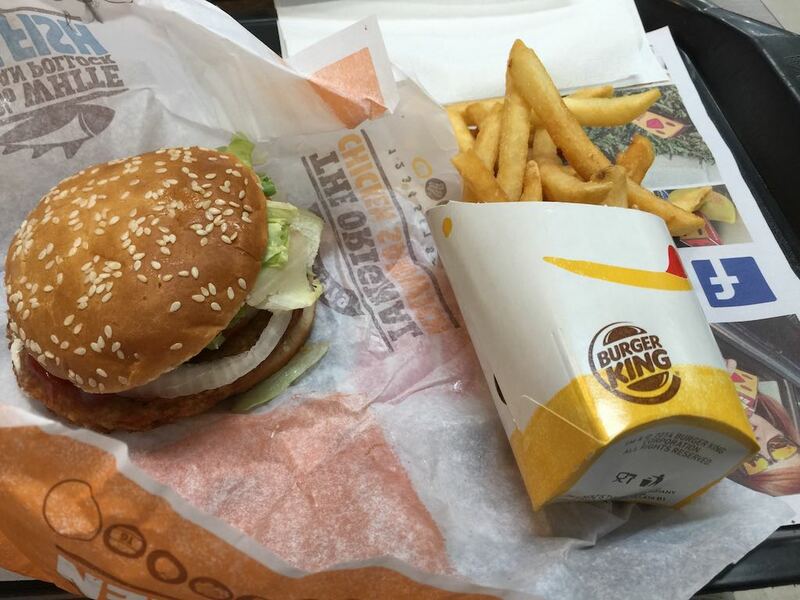 The thrill of being able to go to a fast food joint and order straight off the menu – woo hoo! So a Veggie Burger combo including fries and a drink it was. Cost around $US6. The patty itself is a MorningStar Farms Garden Veggie Patty and the burger also has the standard lettuce, tomato, onion, gherkins, tomato sauce and mayo. Verdict – it wasn’t worth it. The burger was tough and chewy. So disappointed! The soft drink was the highlight, the BK we visited had a fancy electronic coke machine with literally dozens of flavour combos. Coke Zero with Lime … yum! While I commend BK for at least having a vegetarian burger option, IMO there are better veggie burger patty options available… I’ll stick with Taco Bell for now. The cheese has since been removed from the burger, but still….